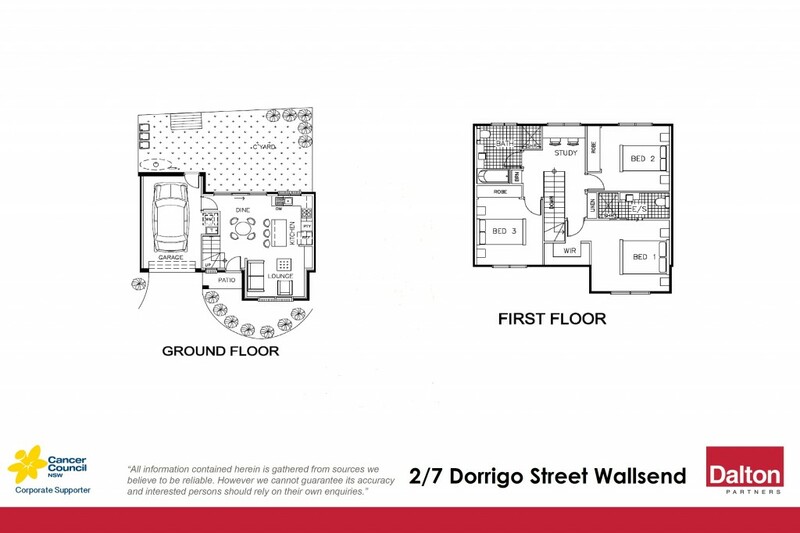 Located in a quiet street, yet convenient to both Wallsend & Elermore Vale Shopping centres. Bus routes and cycle way are nearby. Brand new townhome development offering 5 quality dwellings. "Verde" offers cheap buying yet high quality. * Brand new development of 5 townhomes in quiet location. * Construction almost complete - hurry only 2 left for sale. * Verde offers high quality finishes at very affordable prices. * Main bedroom has ensuite and walk in robe. * Bedrooms 2 and 3 have built in robes, upstairs study nook. * Main bathroom has a separate bath and separate shower. * Square set cornices and LED downlights throughout the home. * Floor to ceiling tiling bathroom and ensuite, wall hung vanities. * Kitchen has stone benchtop, gas cooktop, electric oven, dishwasher. * Construction completion expected in October - buy now, move on in!